Wikipedia tells me that sweet potatoes are higher in nutritional content than regular potatoes. The Reader’s Digest agrees that they are full of nutrients and fibre. So I make sure my family eats sweet potatoes! I buy sweet potatoes whenever I get them in the local vegetable market. I make a simple breakfast: boiling and peel potatoes; sprinkle with spices or herbs and salt and add yoghurt to the cubed pieces. Gorge on them ! Oil-free- no-fuss snacking ! As I have been regularly making potato cutlets, I thought, why not make cutlets by using sweet potatoes in place of potatoes.I made them and,they turned out yum! Healthier than potato cutlets as well! Pressure cook or boil the sweet potatoes till soft. Peel the skins and mash into a paste. Cut the bread slides into small pieces. Add all other ingredients and make into a smooth dough. Spread on tablespoon of oil evenly on a griddle. Let it heat on a slow flame. Grease your palms and make dough into balls and press flat to make cutlets. Fry the cutlets evenly on both sides until they are golden brown. Serve the cutlets with tomato ketchup or any dip of choice. ** Flax seed powder is good fat. Sweet potatoes are my fav and this one sounds yummy….. need to try this one! I am sure ,you will love the taste of the cutlets ,Privy Trifles ! Do let me know how the cutlets turned out ! Thanks,Viren. Please do try them out.You will be delighted ! They look like Crab Cakes. Kim,these cutlets are nutritious ! They are vegan. Shilpa , I have made cutlets from arbi,raw bananas,soya granules ,etal. I am sure,you will like sweet potato cutlets. I’ll surely try this out. Thanks ,Melissa for your words of praise. I was a sucker for sweet potatoes when a child. Guess it is time to sneak them back in as cutlets, thanks to your friend! 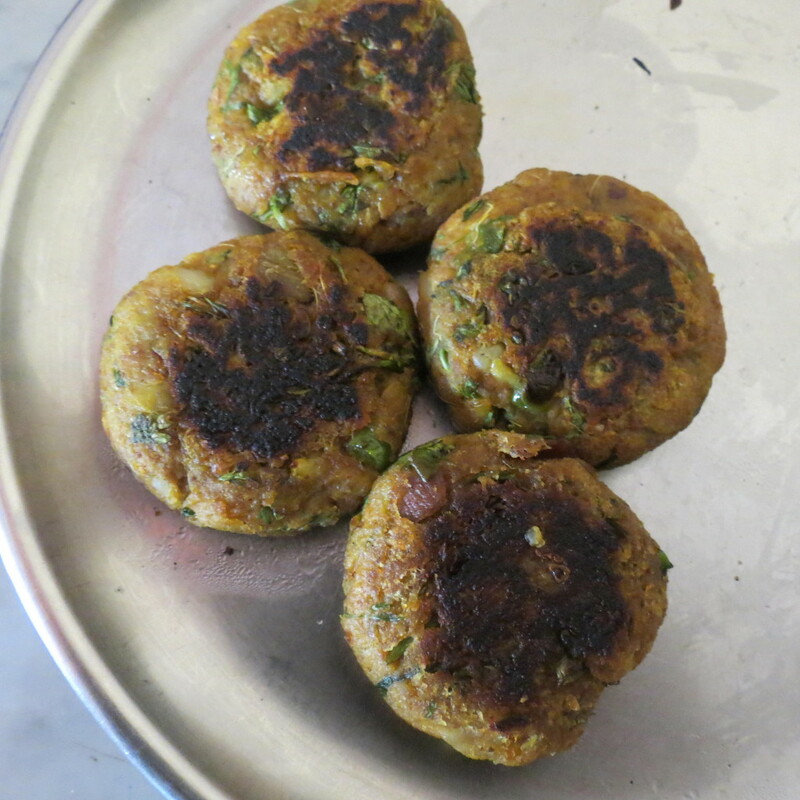 Please do try this out & you will be pleased at the results…..the cutlets that is . I like the greasing of the palms bit. Guess in India, we can’t get away from this practice…. even at home. But jokes aside, I am waiting to sample the cutlets, once they are ready. Corinne,do keep me posted about how your cutlets turned out. That was a good joke ! I am sure,you will be able to taste them very soon. 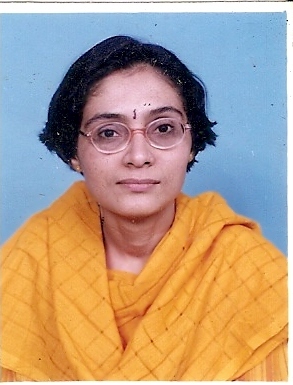 Vasudha – I’m looking forward to making the cutlets and have that yummy sounding breakfast too. Vasudha…this is cool…will try out ASAP. When you try this out,please do let me know how it turned out ,Janaki. This is surely a wonderful recipe that needs to be tried out. I usually bake sweet potatoes or roast them covering them with a foil, and just sprinkle a little salt-pepper and chat masala at the most. Simple and yum. Yes, I’ve tried out the cutlets with potatoes added to it too, though adding flax seed powder makes it nourishing too. Thanks, Harleena Singh for your generous comments !